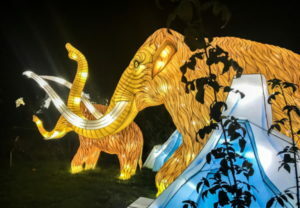 The route starts at the Place Valhubert, opposite the Pont d’Austerlitz, where giant lanterns and light sculptures depict animals and plants that disappeared 65 million years ago, as well as species currently under threat of extinction. Visitors cross a huge arch of dinosaurs to meet polar bears, woolly mammoths, and other Jurassic creatures as well as turtles and penguins. 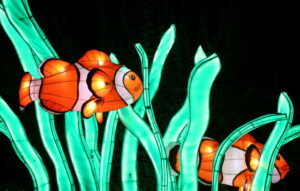 Some of these giant images change colour and others even have moving parts. 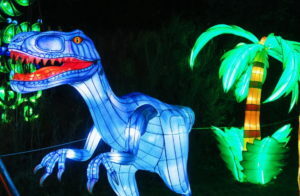 This can be particularly unnerving when confronting an enormous, menacing-looking dinosaur, momentarily forgetting that they are not only extinct, but weren’t bright fluoro pinks and blues, so far as one knows! After visiting polar bears, exotic frogs, adorable pandas and elegant flamingos, to name just a few creatures, visitors arrive at the end of Allèe Alfred Lacroix. 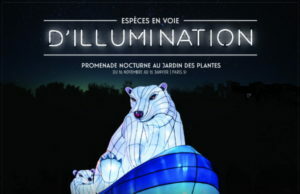 Before heading towards the Menagerie du Jardin des Plantes—by day, the location of a small zoo for children—visitors face the mesmerizing sight of a huge, white “fairy” tree that faces the museum. 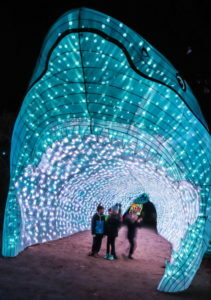 Before entering the Menagerie to explore the rest of the display, visitors are “swallowed” by the open jaws of an enormous white shark that changes colour. 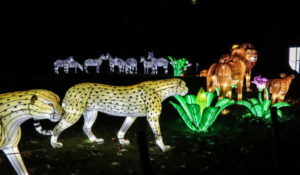 The visit continues throughout the compound of the zoo, where luminous animals rub shoulders with live animals. For those concerned for the welfare of the residents, only those animals who have shown that they are not disturbed by the lights are in this mix. 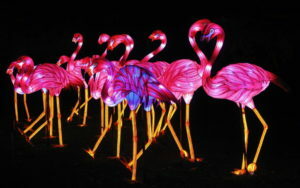 Interestingly, it was found that many animals have been quite indifferent to the presence of the lights. 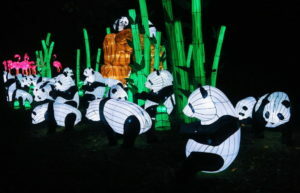 The other animals are safely sheltered away during the nocturnal hours of the display. 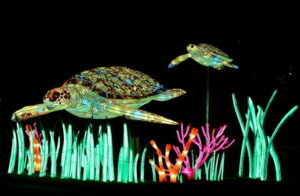 At various times throughout the day there are live shows and talks on the theme of fauna and flora. There are also workshops aimed at children in the hope of raising awareness about the vital importance of protecting the environment, and the fragile nature of the earth’s biodiversity. 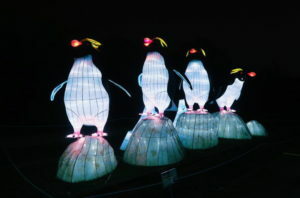 This first light festival started on 16 November and runs until 15 January 2019. Open every day except 24 December. 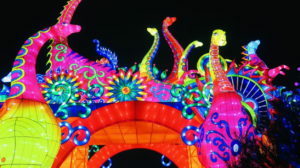 Although some of the giant lanterns can be seen during the day, the whole idea is to experience the whole effect after dark. From 6.00pm to 10.45pm, entry costs 15 € for adults, 11 € children up to 12 years, but free entry for children under 3 years. It’s recommended to allow at least 1 hour and a half, and as Parisian winters are cold at night, don’t forget to wear extra-warm clothing! Thankyou for the post Cheryl, will be sure to see this next month while in Paris. Love your posts, they are so interesting. Glad you enjoyed today’s post! 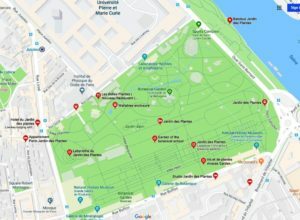 You’re going to have so much to see and do when you get to Paris–we always leave with a long list of things unseen, which gives us an excuse for regular return visits. It’s just one of those places!